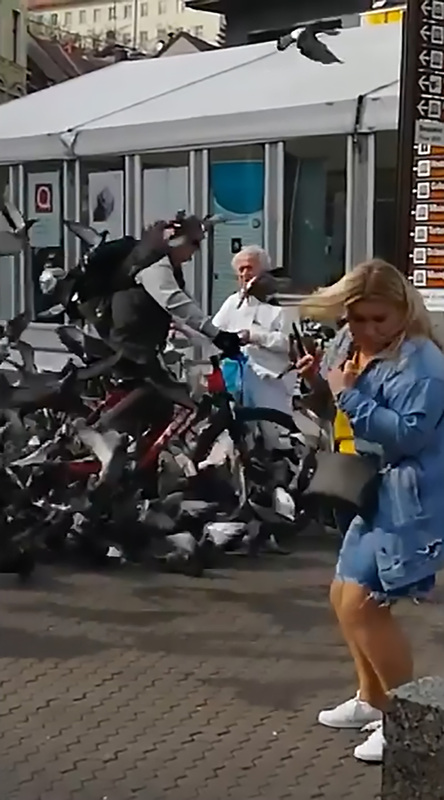 This is the shocking moment a heavyset yob intentionally cycles through a flock of pigeons being fed by a little old lady and appears to kill several of them. 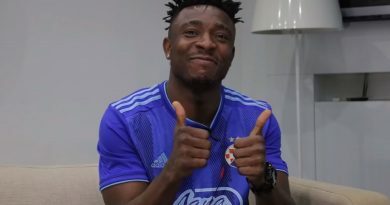 The incident was filmed in the northern Croatian capital Zagreb and shared on Facebook where it has been viewed 80,000 times. 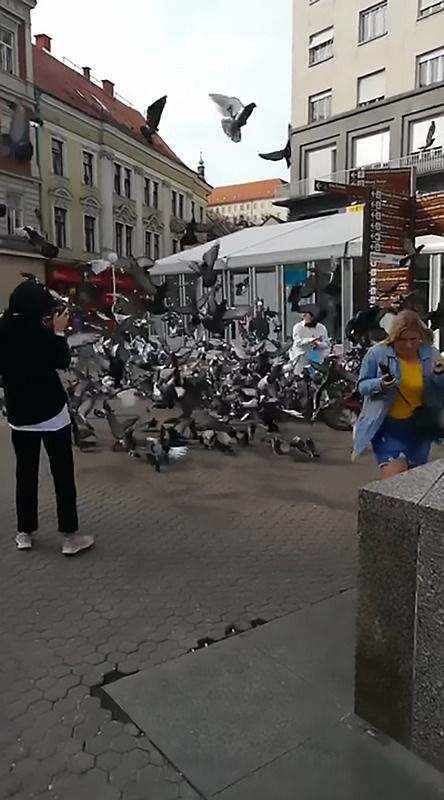 In the footage, a sweet old lady is seen feeding the pigeons from a plastic bag in a pedestrian zone on a clear sunny day. All of a sudden, a heavyset yob on a bicycle rides right through the flock of pigeons, scattering most of them towards some frightened onlookers. 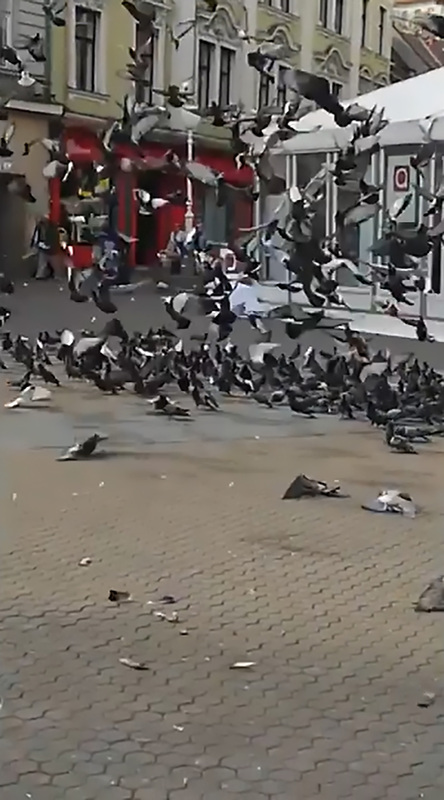 Meanwhile, one pigeon lies motionless on the ground as several others appear badly injured. In the slow-motion shot, the outraged elderly woman is seen throwing bread at the yob as he cycles past. 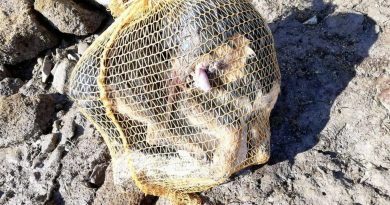 The animal rights group ‘Animalex’ has claimed that several birds were killed while others were seriously injured. 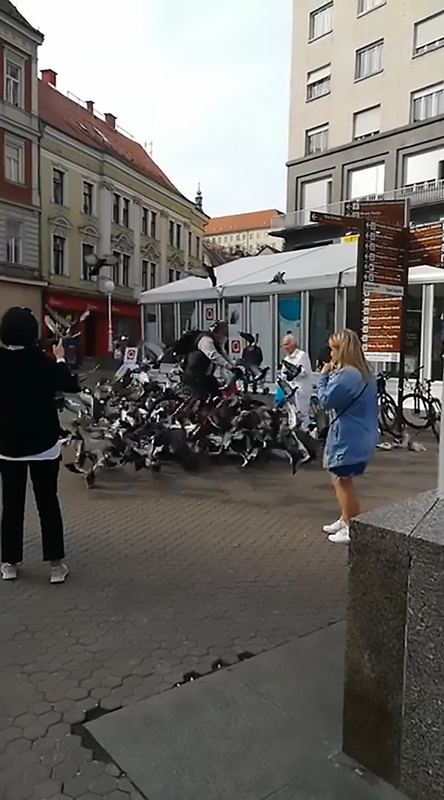 Petra Macek from the animal organisation ‘Prijateli zivotinja’ told Central European News (CEN): “Our opinion about the case is that a cyclist rode over the pigeons on purpose when another person was feeding them, and he could have easily gone around them. 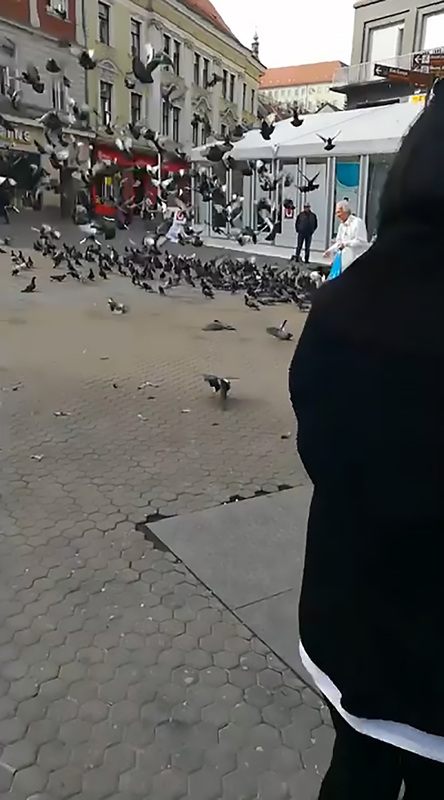 “The square is big and spacious so this was an act of malevolence at the expense of the birds, some of which died under his wheels. Macek claimed that Animalex members are aware of the suspect’s identity and have reported him to the authorities, although it is unclear whether the matter is being investigated.